I am not taking myself too seriously here. I was sitting across my son, who was doing his homework in French and he began whistling. 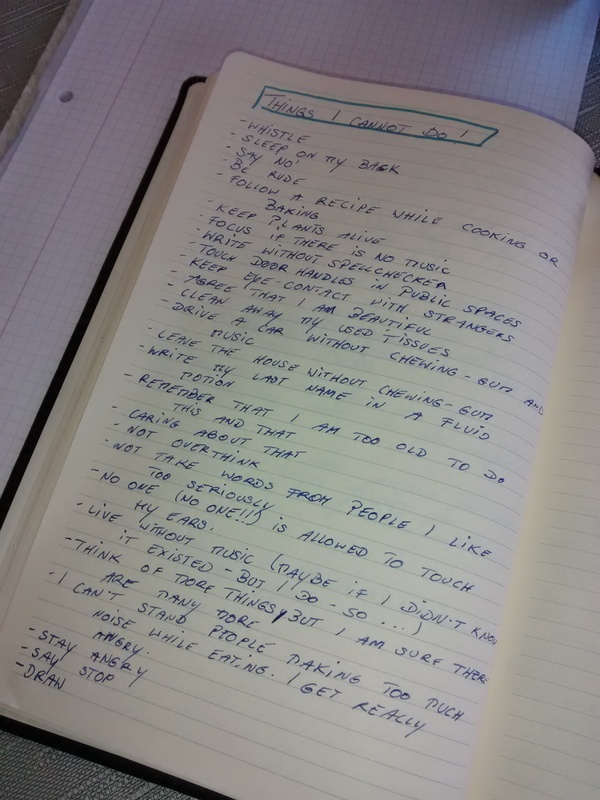 As you can see on this list, I can’t whistle and I began to write down things I can’t do. There are many more things I can’t do, this is just a start. Maybe, someday, a list will follow with things I can do very well. Until then, have fun deciphering my scribble and enjoy the rest of the weekend.